High Quality Content by WIKIPEDIA articles! 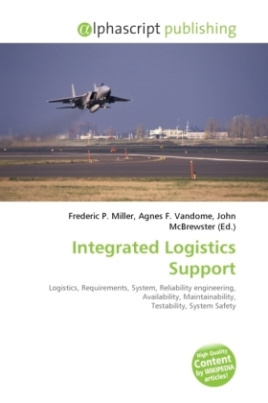 Integrated Logistics Support is the disciplined and unified management of the technical logistic disciplines that plan and develop Logistics Support Requirements for military forces and which will ensure System product Quality in terms of reliability, availability, maintainability and testability . ILS is sometimes integrated with System Safety engineering. In general, this means that ILS is the management organization that plans and directs the activities of many technical disciplines associated with the identification and development of logistics support and system RAMT/S requirements for military systems or equipment / parts. There are comparable organizations outside the military which provide the same capabilities.